When drunk in moderation, alcohol is relaxing and can sometimes even have good effects on the long term health of the heart. In excess, however, alcohol is a deadly poison to humans and is considered a dangerous drug. An estimated 4% of people aged 16-65 in England alone are affected by alcohol dependence, and more than 8,500 people a year die in the UK due to alcohol abuse. In most violent crime incidents the aggressive parties were later found to be drunk, and nearly 40% of cases of domestic violence also involve alcohol. Drinking alcohol even in small amounts often causes mild mood changes, problems with vision and balance, or sometimes speech, loss of hand-eye coordination, and in extreme cases collapse which is often a sign of acute alcohol intoxication, colloquially referred to as “drunkenness.” Provided people stop drinking the effects normally wear off in a few hours. Larger intakes of alcohol can seriously impair brain function, cause long term liver damage and almost inevitably lead to unconsciousness. Excessive overdosing, such as alcohol poisoning, can be fatal. Alcoholism is a progressive and often fatal problem, characterised by repeated cravings for alcohol along with increased tolerances and in some cases a physiological dependence which exacerbates loss of control while drinking. Symptoms are not always very obvious to others and while some chronic alcoholics display clear evidence of their condition, others can appear to be functioning perfectly normally. Long term alcoholism leads to a large number of serious physical problems such as high blood pressure, heart and brain damage, chronic gastritis and hypoglycaemia. Frequent consumption of large amounts of alcohol also leads to impotence in men as well as severe foetal damage in pregnant women. Many alcoholics do not eat healthy diets which can also cause nutritional problems and other knock-on effects. 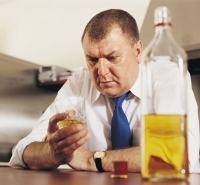 If you think you may be suffering from alcoholism, or someone close to you is exhibiting symptoms which make you suspect that they have a similar problem with alcohol, you should seek help at a specialist alcohol clinic or alcohol rehab centre where staff will be able to advise you on the best course of action to avoid serious health risks. If you live in the London area, ADT healthcare runs a comprehensive alcohol treatment service with a full aftercare programme to help clients remain sober after their alcohol detox is completed.